Blocks in the East is VentoNuovo’s first and best-selling game. 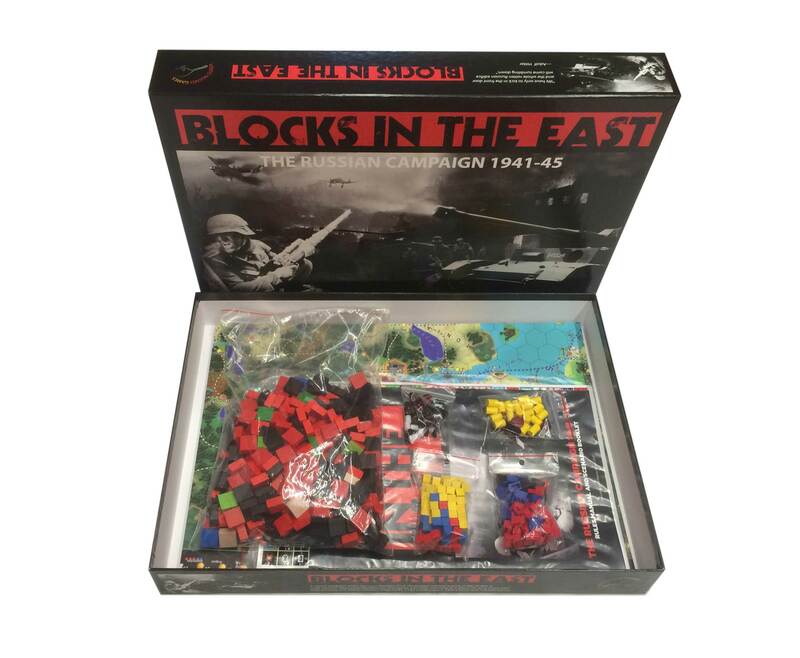 It offers gamers the full scope of the gigantic “Eastern Front” from 1941 to 1945, with different rules levels that allow players to dial up just how much complexity they want to use, and scenario times varying from a short 2 hours to 6 hours and up for the full campaign. 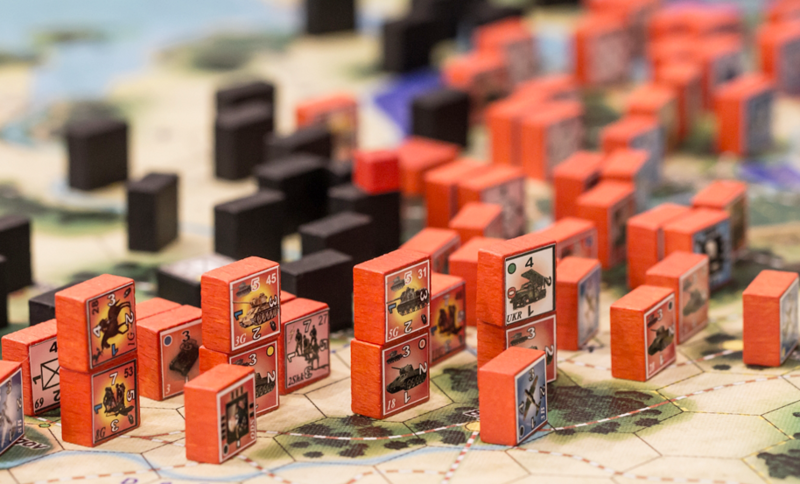 Precision-made blocks and colorful stickers are used to represent the major units involved and keep track of their strength or losses, providing a “fog of war” element that adds to the excitement. 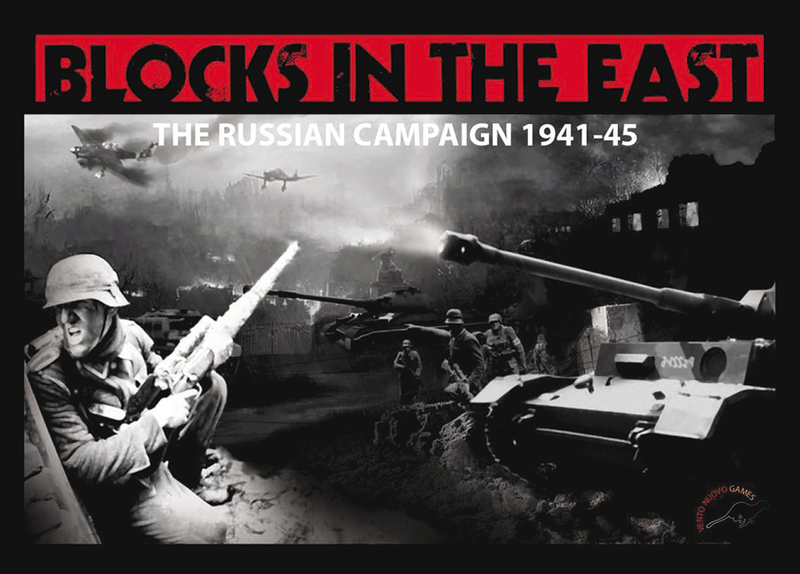 The game is recommended for two or four players: one/two control the Soviet Red Army and the other one/two control Germany and the other Axis powers. While a challenge, due to size and “fog of war,” gamers report the game is also very interesting for solitaire play. With over 600 wooden/plastic components a full laminated multicolor 125x87 cm mapboard, (made from two map sheets), Blocks in the East truly offers the scope to capture a sense of the biggest and most prolonged campaign in world history. 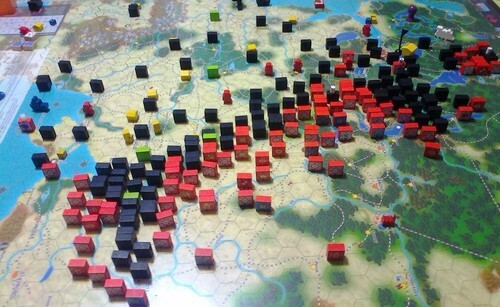 Every scenario has different victory conditions and length, with a different playing time of 2 to 3 hours for the short scenarios and 4+ hours for the long scenarios. - OPTIONAL RULES: For those players who want to get the best out of the game, these additional rules can be added as desired. Pick some or all of them- you decide! They include Technology Research, Strategic Warfare with bombers and submarines, Partisans, Amphibious Landings, Airborne Assaults, Special Attack Actions, and more! On 22 June 1941, under the code word Dortmund, the German Wehrmacht and other Axis powers started the invasion of the Soviet Union ("Operation Barbarossa") and thereby the biggest struggle in military history. Over 150 divisions – about 3.6 million troops - of the Axis invaded the USSR along a front of 2.900 km. In addition to these troops, Barbarossa involved 600.000 motor vehicles, 750.000 horses, 3.350 tanks, 7.300 guns, and nearly 2.000 planes - the largest invasion in the history of warfare. For the next four years, this titanic struggle between “superpowers” would swallow men by the millions and vast waves of equipment and supplies, with campaigns stretching across hundreds of miles. From sandy, near-desert like plains to frozen hinterlands near the Arctic, the War in the East would surpass everything that has happened before or since in scope and destruction. Blocks in the East gives players the chance to fully explore this incredible situation. 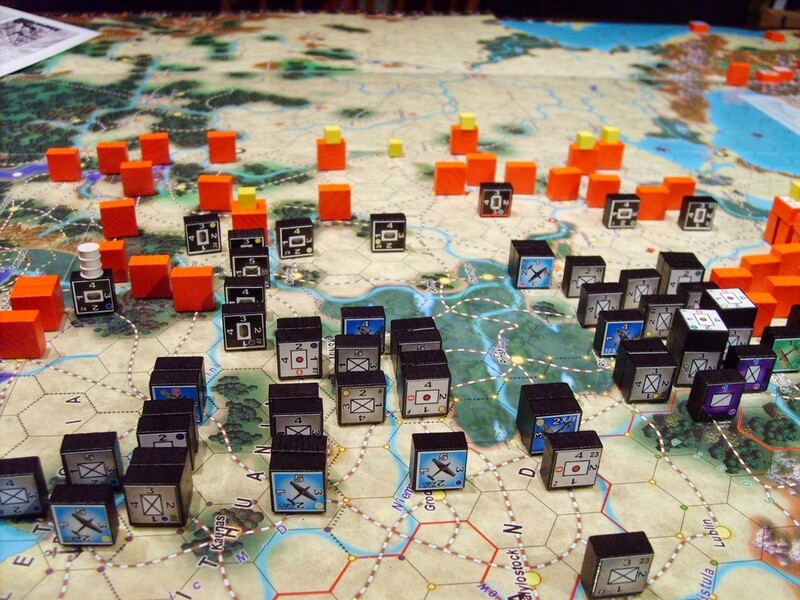 We would also point out that our “Blocks in Afrika” game covers not only that continent and WW2 in the Mediterranean, but also includes parts and rules for expanding Blocks in the East and Blocks in the West into “Blocks in Europe,” a gigantic simulation of the entire war, AND also includes blocks and scenarios for other situations within Europe, such as the German/Soviet invasion of Poland or a “could have happened” Soviet invasion of Sweden. Check out all your options there! Our store will show you additional items you may want, like our giant GorTex map, Icon stickers, a Set-Up Journal, and more. You can also find a Bundle combining Blocks in the East with two other games, for a truly gigantic “Blocks in Europe” option!